The Käthe Kollwitz Museum Berlin is dedicated to the life's work of the world-famous artist, who created unique works of art against war and social injustice. On four floors, known and less well-known works of art of the artist such as drawings, graphics and plastics, are shown. An audio guide deepens the presentation. A photo gallery on the ground floor introduces you to the Berlin of Käthe Kollwitz and her time. 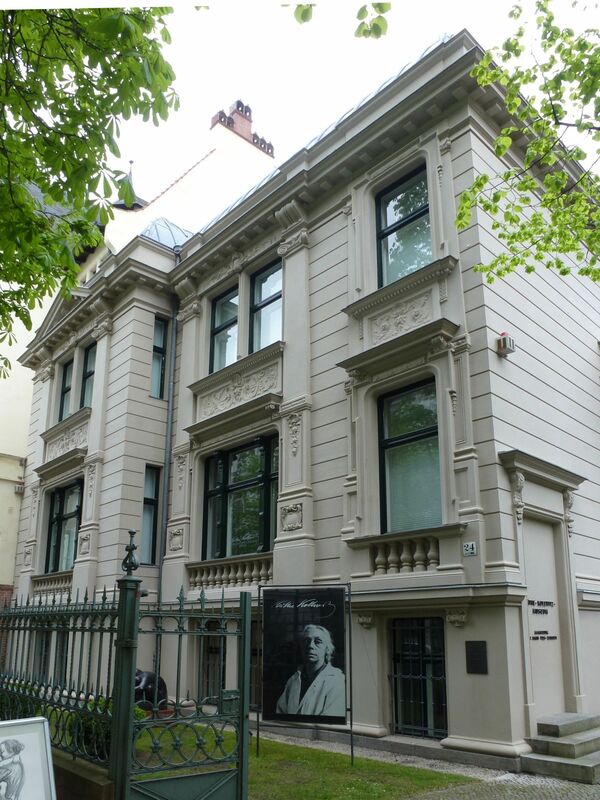 The museum commemorates the collector and museum founder Hans Pels-Leusden, who with his Kollwitz collection laid the foundation for the museum, which was founded in 1986. The sponsor is the association Käthe-Kollwitz-Museum Berlin and graphic collection Hans Pels-Leusden e.V. The museum is supported in its work by the circle of friends and proportionally publicly funded. The museum regularly sets impulses for a contemporary dialogue with Käthe Kollwitz - her work and her themes equally: student projects, guided tours, events. A special series are the special exhibitions "In dialogue with Käthe Kollwitz".